﻿ The Sambuco's 2017 Christmas tree at Monte Carlo. 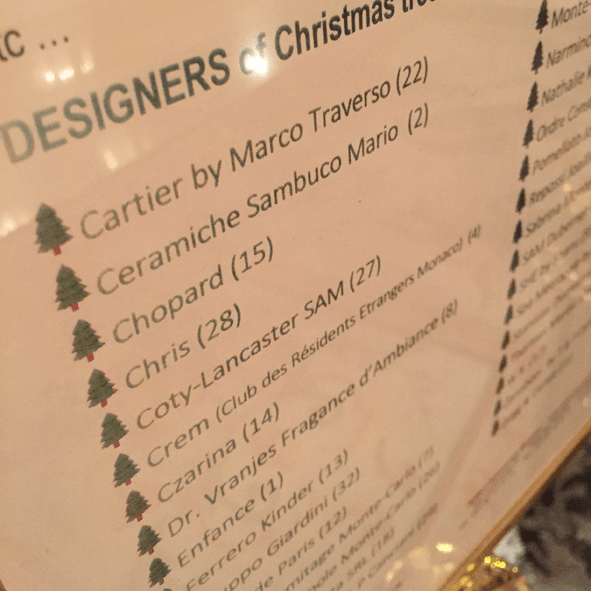 Home > Blog > News > The Sambuco's 2017 Christmas tree at Monte Carlo. The Sambuco's 2017 Christmas tree at Monte Carlo. "The vase and the tree"
... meeting of materials, colors, transparencies, emotions. 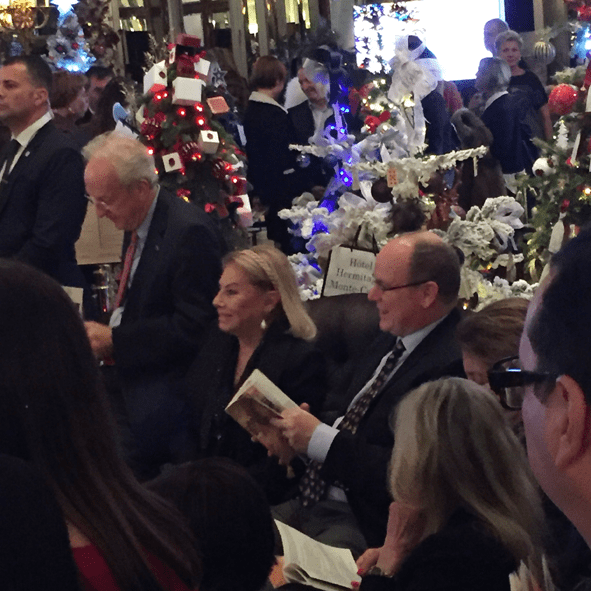 Ceramiche Sambuco Mario was invited, for the sixth consecutive year, from Action Innocence Monaco to create own Christmas tree for the charity auction "Les sapins d'Action Innocence Monaco" at Hotel de Paris in Monte Carlo of December 14th, at the presence of H.S.H. Price Albert ll. The majolica vase is one of the expressions of Sambuco of the ability to express the art of ceramic a sense of modernity, to reflect contemporary tastes. The art work is finished with the application of gold. The ornament has been entirely hand-painted with a decoration inspired by designs from the Deruta’s historic ceramic-making tradition, enriched by Sambuco with gold. In the picture below, our tree at the event of December 14th with S.A.R. Princess Camilla di Borbone.